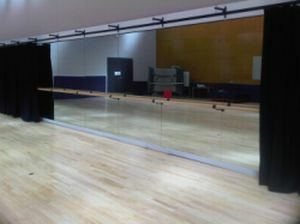 Studio Mirrors, Ballet Barres, Curtains, Dance Floors, Instrument Storage, specialist seating are just a few examples of what we can do for you. 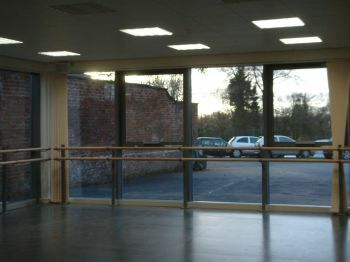 Floor Mounted ballet barres at The Hammond School (specially designed to fit between underfloor heating pipes and line up in front of window mullions). 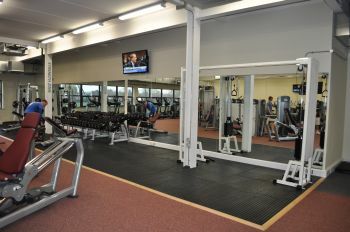 One of 3 Fitness Suites to receive Studio Mirrors at Nottingham Trent University. 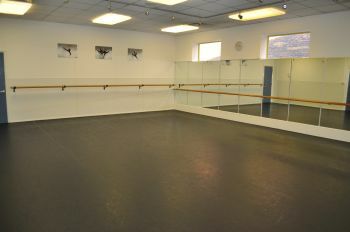 Two-Studio Fit-Out including our ActiSprung Dance Floor for Prima Stage School. 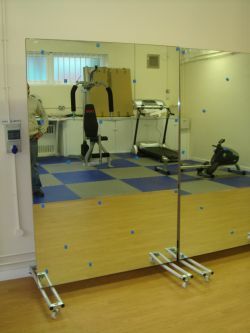 A unique (and very large) custom cabinet for The Orchard Specialist Arts College. 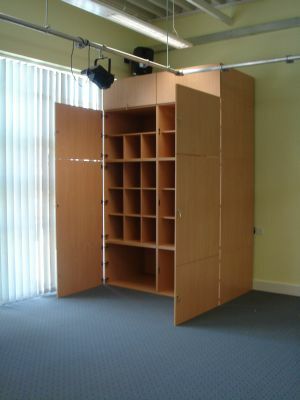 The cabinet was built to the exacting designs of the music teacher to hold specific instruments, sheet music, CD's and each of the four sections are individually lockable. How can we help with your storage requirements? 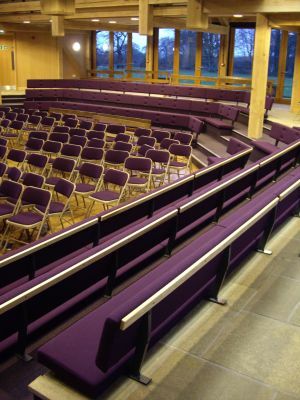 Bench Seating & matching folding chairs for Dulwich Preparatory School. 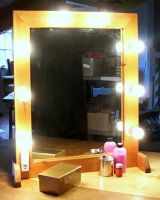 Whitebox3 Make-Up Mirror as used by Pimlico School and Samworth Academy (wooden frame can be painted to match any surrounding). 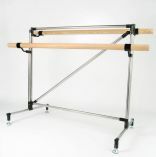 Popular DuoBarre Freestanding Ballet Barre featuring two fully adjustable wooden barres, used by Bishop Justus, East Barnet School and the English Institute of Sport.